This book studies algorithmic issues associated with cooperative execution of multiple independent tasks by distributed computing agents including partitionable networks. 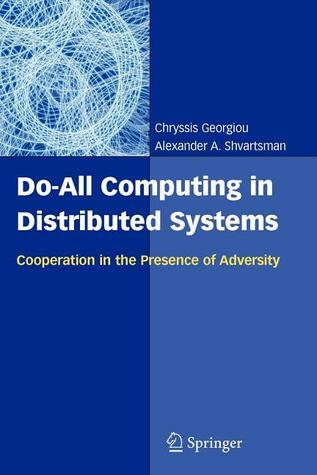 It provides the most significant algorithmic solution developed and available today for do-all computing for distributed systems (including partitionable networks), and is the first monograph that deals wThis book studies algorithmic issues associated with cooperative execution of multiple independent tasks by distributed computing agents including partitionable networks. It provides the most significant algorithmic solution developed and available today for do-all computing for distributed systems (including partitionable networks), and is the first monograph that deals with do-all computing for distributed systems. The book is structured to meet the needs of a professional audience composed of researchers and practitioners in industry. This volume is also suitable for graduate-level students in computer science.